Whether you file your own taxes or pay someone to file your taxes, it’s important to be well informed. 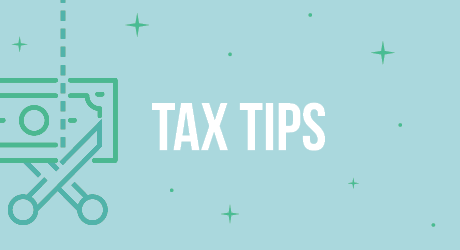 Below are 5 tax tips to help you maximize your filing. Use credible sources. Not all information is reliable. The Internal Revenue Services (IRS) website ( IRS.gov ) is easy to navigate and the original and best source of information for your federal tax returns. Visit your state’s government’s website for details regarding your state’s tax return. Flip the form for details. Don’t know what the numbers on your tax forms mean? Look on the back side of the form. Tax documents (W-2s, 1099s, 1098-Ts, etc.) provide detailed instructions regarding the contents of the line item. Know the differences between deductions and credits. Both deductions and credit help reduce what you may owe in taxes. However, how they are applied differs. A deduction reduces your taxable income while a credit reduces your tax liability. Double check your returns before submitting them. Simple mistakes can be costly but easily avoided. Before sending your returns off for processing, confirm that the information provided is as you intended it to be. Keep copies of documents. The IRS has the right to audit your tax returns. Should you be audited, having copies of information you submitted will make the process much easier for you.